These photos were taken at the Hilton resort at Waikoloa. These photos were taken along the north coast of the North Kohala section of the Big Island. Here are photographs of the Kawaihae Coast in the north east part of the Big Island of Hawaii. 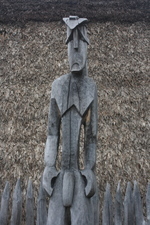 The buildings are in the town of Hawi which has a number of good art galleries. Here are photos from the cattle country under Kohala Mountain on the north west corner of the Big Island of Hawaii. 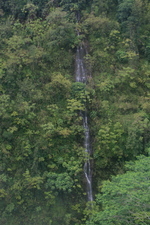 Here are photos of the large waterfall near Wainuki and the rain forest and other smaller waterfalls. These photos were taken in at the southern most restaurant in the US, the Hana Hou Restaurant on the Big Island of Hawaii. Here are photos of the Hamakua Coast on th east coast of the Big Island. Here are photos of the Pololo Valley in north coast of the Big Island of Hawaii. 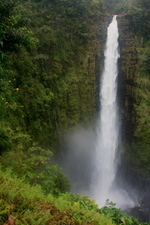 There is black sand beach and a deep valley as well as a coast with multiple waterfalls. These are photos of the Pu'uhonua o Honaunau, a refuge for the older Hawaiian kings on the east coast.